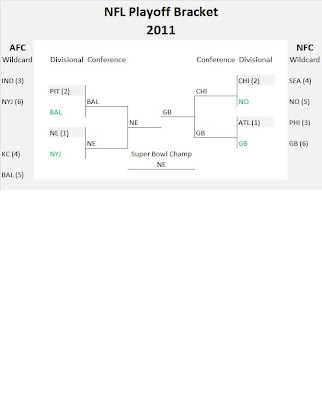 Your office is playing the NFL playoff brackets pool and you want to see computer generated picks. You've done the picks before, but your guts always choose the same teams everyone chooses. The only one with radically different picks wins and takes home the prize. This year you've decided to start doing some research and see what computer generated picks have to say about this year's playoffs. There are many methodologies out there on how to pick game winners. Although I pick against the spread, I still make predictions about the score at the end of the game. Straight up, these predictions have been 61% correct throughout the season and at 67% in the second half (top 10 in thepredictiontracker.com). 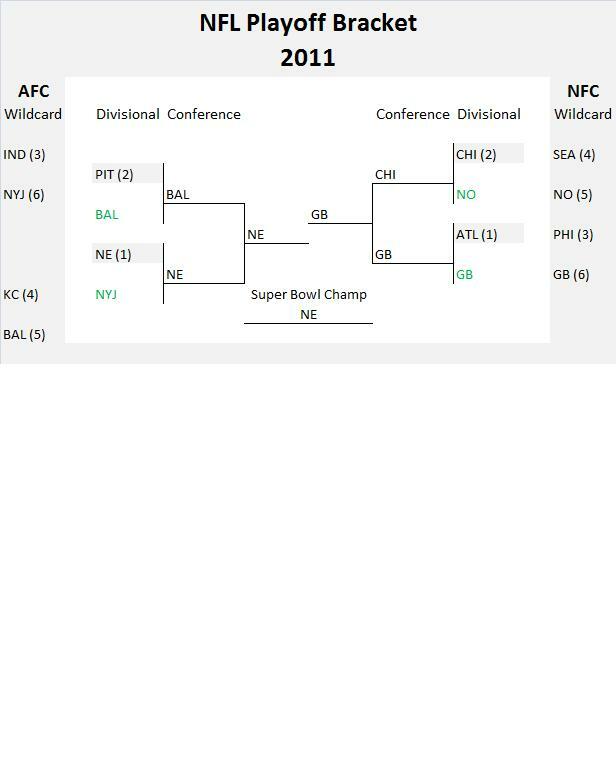 Below is a chart of what the NFLpickles model predicts. Green Bay coming out of the NFC?! I don't believe it either, but anything can happen. Point spread predictions for the Wildcard coming soon after this. Enjoy!